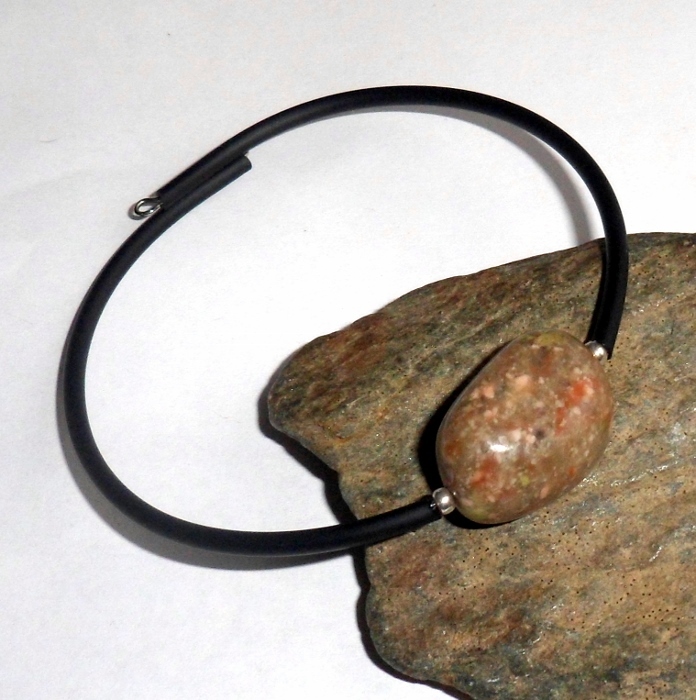 A tumbled autumn jasper gemstone set on a black beach bounce bracelet. 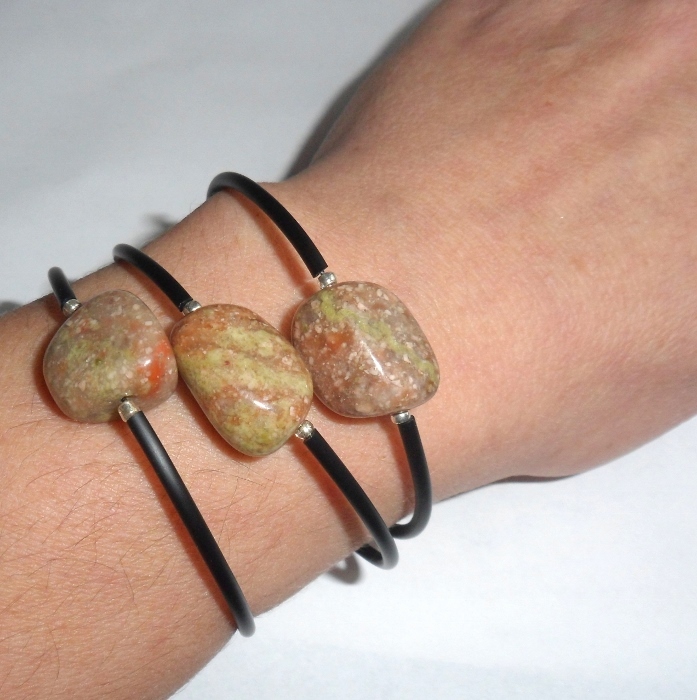 Jasper is an earth element gemstone associated with the 1st and 2nd chakras. 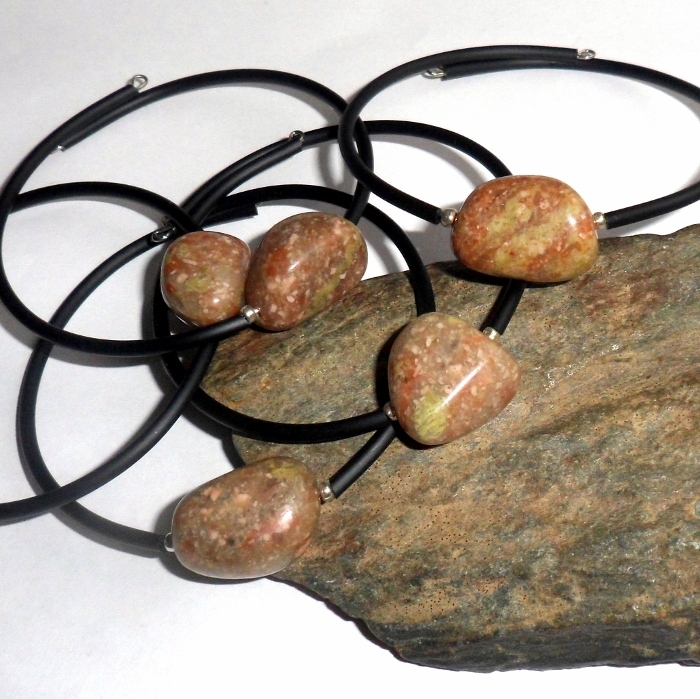 Jaspers are grounding and protective stones that encourage patience. It also shields you from negativity and helps heal depression. 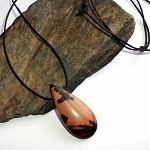 Jasper gemstones are large smooth pebbles, about 1/2 inch to 3/4 inch each. 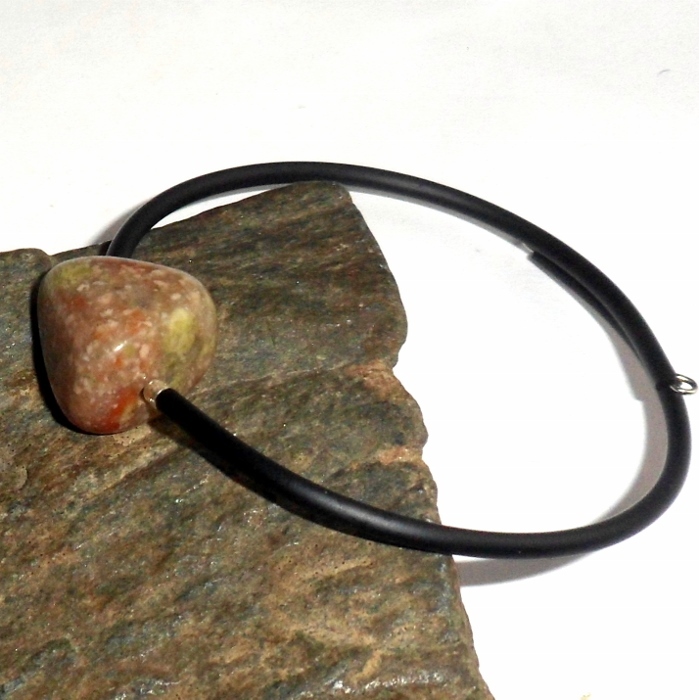 Bounce beach bracelets are made from stainless steel memory wire with black tubing over the wire. There is no clasp, they fit any wrist like a slinky. Wear them alone or layer them with others depending on your mood.